The 350 hp 1050K PL models boast a dual-path hydrostatic transmission that delivers more precise movement and control along the trench. 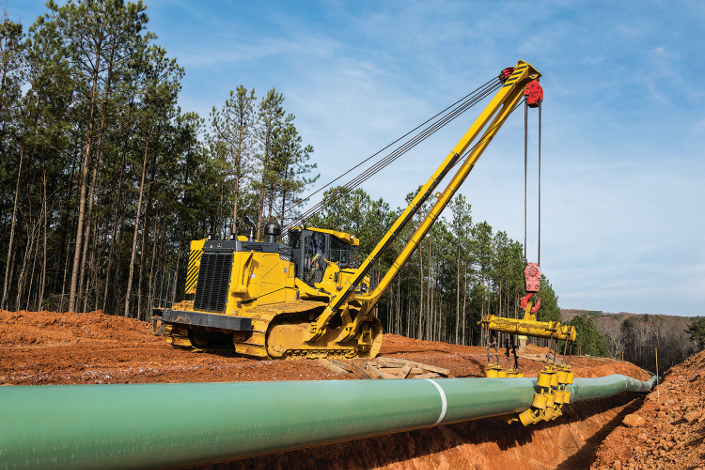 Additionally, electrohydraulic controls enable exceptionally fine metering when placing the pipe. 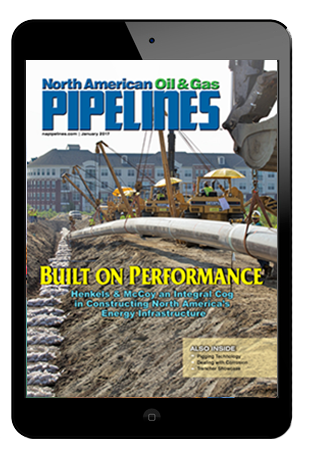 When they leave the Dubuque, Iowa, factory, the pipelayer-ready crawlers are ready for the customer’s choice of an approved supplier boom. The machines’ feature a bolt-on/pin-up design that simplifies sideboom installation, improving reliability and reducing setup times. 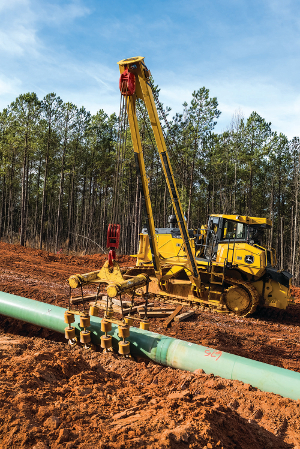 A purpose-built pipelayer cab integrates an electrohydraulic joystick for precise one-handed control of the load line, boom and counterweight. A large roof-mounted skylight provides operators with a clear view of the boom. To further simplify setup, the purpose-built cab is factory equipped for easy installation of the sideboom supplier’s load moment indicator (LMI). Fleet managers looking to get the most out of their 1050K pipelayer-ready crawlers can rely on their John Deere dealers to provide Ultimate Uptime, featuring John Deere WorkSight. With Ultimate Uptime, owners receive predelivery and follow-up inspections that include five years of JDLink telematics, machine health prognostics, remote diagnostics, programming capabilities and the ability to add dealer-provided uptime solutions to create a customized package. For additional information and model-specific specifications on the 1050K pipelayer-ready crawlers, visit JohnDeere.com.